Group photo of Workshop participants. Monday, September 5th, 12:30. September, 8th. Workshop photogallery now available at the external site. Welcome to the home page of the Trigger/DAQ Workshop devoted to the Belle II Experiment at KEK, Japan. 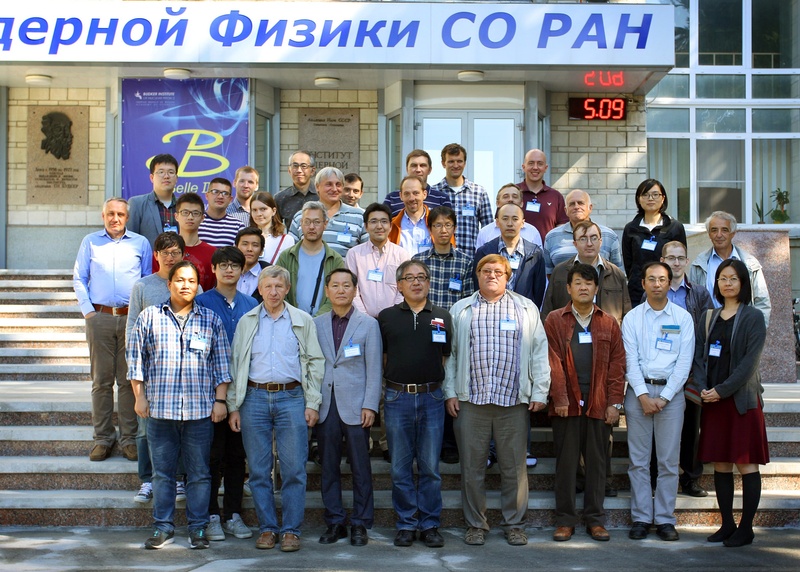 The workshop is to be held in Novosibirsk, Russia, on September 5-7, 2016 and being organized by the Budker Institute of Nuclear Physics (Siberian Branch of the Russian Academy of Sciences) and by the Novosibirsk State University. We hope you can find all the required information from this web page. If you have any questions, suggestions or comments, please do not hesitate to contact the local organizing committee. Besides discussion of current technical issues related to Belle 2 experiment, you will have a chance to explore the Academic town area, where the Novosibirsk State University and most of research institutions are located. Enjoy your stay in Novosibirsk! Program Committee: A. Kuzmin, B. G. Cheon, S. Eidelman, R. Itoh, Y. Iwasaki, M. Nakao, B. Shwartz, S. Yamada. Organizing Committee: A. Kuzmin, A. Vinokurova, A. Bondar, S. Eidelman, A. Garmash, M. Kuzin, D. Matvienko, V. Shebalin, B. Shwartz, V. Vorobyev.